- He shares room with Lay in China. - He shares room with Xiumin and Kris in Korea. - His ideal type of woman is demure and quiet. - He joined SM in 2008 when he went overseas to Korea to study (attend Yonsei University as an exchange student), and one day when he shopping in Myeongdong he got spotted by SM official representative. - He doesn’t like others on his bed, he’ll kick them off if anyone gets on. - Officially recruited into SM at the 2010 SM Casting System. 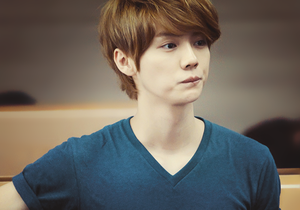 - He is easy-going person (usually trainees from China are bullied, but Lu Han is an exception). - He likes clothes that are simple. - His interests are animation, art, video games, computers, water sports, nature sports, basketball, baseball, football, music, concerts/clubs, television, animals, travel, singing and Rubix Cube. [PIC] Same shirt. LUHAN & KRIS!! 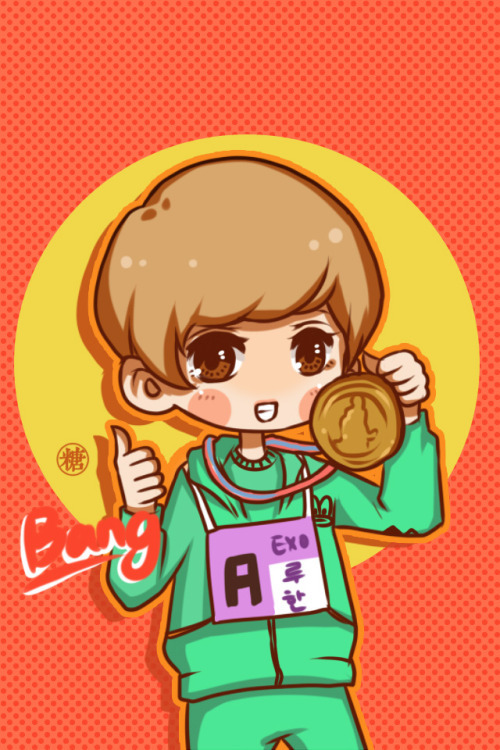 [idol Championship] Luhan got third place overall! Dhang.. I finally found this official thread for my Dearest Deer!! Angelababy and former EXO member Luhan two nights ago attended a store opening in Beijing. Just completing Sandra Ng Kwan Yu's Lunar New Year film 12 GOLDEN DUCKS, Luhan felt that his first Hong Kong Lunar New Year film was a lot of fun. Being able to work with top actors like Louis Koo Tin Lok, Simon Yam Tat Wa and Vicki Zhao Wei was a rare opportunity for me. In the film he played a young dancer, performing his kpop expertise. Later he even appeared with Best Actress Kwan Yu. The production was rather pleasant. Luhan guest stars in "12 Golden Ducks" as a "golden duck"
The Hallyu wave has still been going strong, but who knew it would also be entering the Chinese New Year period in Hong Kong! Continuing after last year's "Golden Chickensss", Sandra Ng finally quit being a prostitute and this time, turned to "gigolos". Other than her cross-dress role in "12 Golden Ducks", many Hong Kong stars such as Louis Koo, Nicholas Tse and Pakho Chau will also be guest starring as gigolos. Recently, it was exposed that EXO's ex Chinese member, Luhan would also be guest starring in the movie! Last Thursday (January 1st), Luhan secretly arrived to Hong Kong to film for the movie for two days. Apparently, the scene talks about Wyman as a client who is served by Luhan. When filming Luhan taking off his clothes, the Korean staff were very nervous, and requested the set to be cletsared before Luhan could reveal his body! Last Thursday (January 1st), Luhan arrived to Hong Kong from Korea with two male and one female assistants, plus make-up artists and hair stylists; a whole team accompanying him, all just to film one scene for "12 Golden Ducks". Although Luhan and the film crew were very secretive, but the day he arrived, there were still 300+ fans who heard the news and went to the airport to see him. Luhan's role in "12 Golden Ducks" is a guest role, only taking one day to film. Although the screen time isn't much, Sandra still made her cast choices very carefully. She had considered EXO's Kris and Super Junior's Choi Siwon, but in the end, she chose the handsome and popular Luhan. Luhan's popularity in China is very high, with 4,660,000 fans on Weibo. In September 2012, he re-posted a post about Manchester United, and received 13,220,000 comments, breaking the Guiness World Record for most comments received on Weibo. Even though it is just a guest role, but as a "golden duck", of course there would be a "revealing" scene. Luhan mainly worked with Wyman, who is his client, in the scene. In the high-class night club, he break dances and shows off his abs! When filming the shirtless scene, Luhan's assistant was very nervous about it; other than requesting for the set to be cleared, they also restricted anyone from taking any photos. sugarplum892 said: Luhan guest stars in "12 Golden Ducks" as a "golden duck"
This thread should be moved to the section same as Kris. Since he current activities all in China.